How You Can Choose the Best Health Insurance Plans for Family? - Voices In Finance – Latest news on financial planning from professionals. Home > Insurance > Health Insurance > How You Can Choose the Best Health Insurance Plans for Family? How You Can Choose the Best Health Insurance Plans for Family? Our lifestyle today revolves around immediate gratification of needs. Coupled with unhealthy food habits and lifestyles, it comes with its fair share of repercussion, That’s why stress, ailments, and diseases are on the rise now more than ever. Since it affects everyone, regardless of age and gender, you need to be well-prepared. Family health insurance plan comes as a savior as it protects the entire family should a medical emergency strike and also helps keep your finances in check. 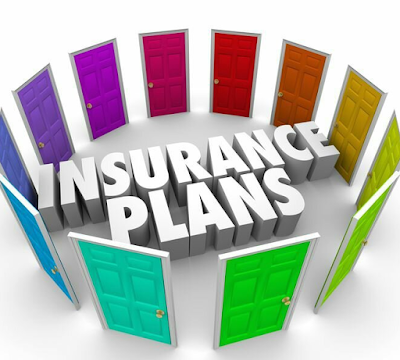 Here is how you can choose the best insurance plan for your family. A family floater health policy proves to be much more convenient and cost-effective than individual plans, especially if you have a comparatively big family. It covers the individual, spouse, and children while there are some other plans that cover dependent parents, parents-in-law, and siblings as well. There are certain insurance plans for the family that are suitable for young families. In these situations, premiums are lower. When you invest in a suitable family floater plan, at the right time and age, the premium amount can drastically reduce. When searching for and buying a suitable health insurance plan, make sure you check the benefits offered. Ambulance cover, day care benefits, minimal exclusions, pre and post hospitalization cover, diseases covered and in-patient hospitalization cover are some benefits you can look for. All health insurance companies tie-up with a network of hospitals after negotiating rates and checking quality. When you make a claim, the insurer directly settles the claim by making the payment on your behalf. Making sure that this cashless service is applicable to a range of hospitals all across India is imperative. In today’s times when ever soaring medical expenses are on the rise, having good health insurance plans for family is a must. It is a necessity more than a luxury. Make sure you choose the coverage amount smartly and the sum insured accurately. Check premium rates, maximum returns, reviews, and benefits offered at insurance aggregator sites and only then make your choice.